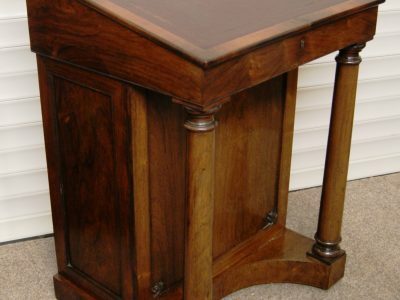 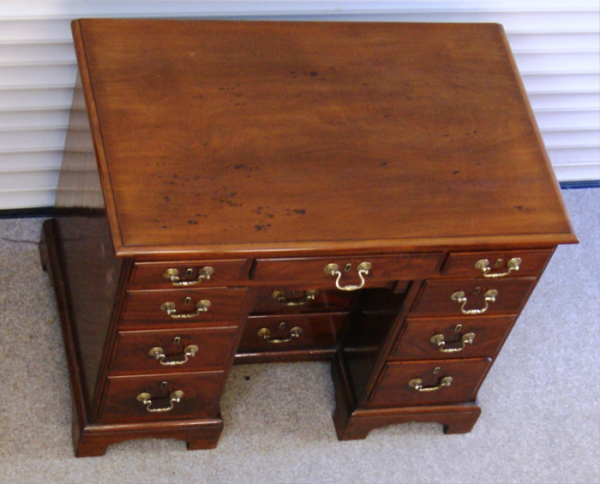 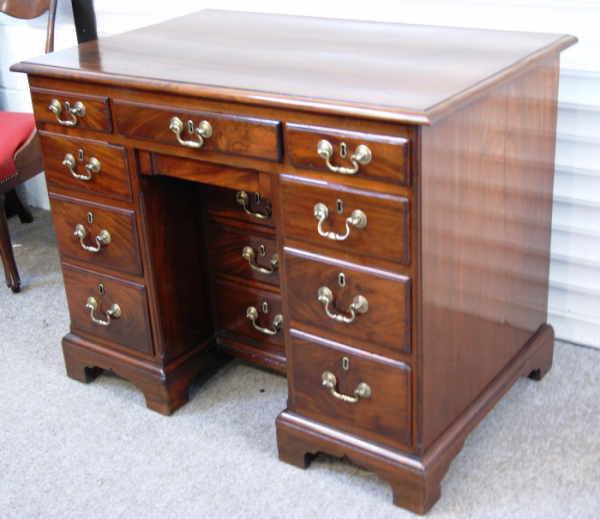 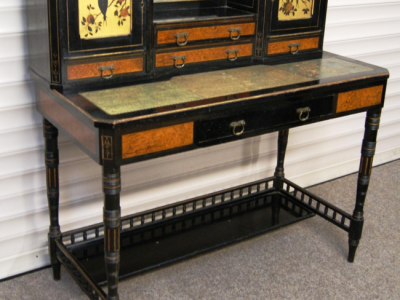 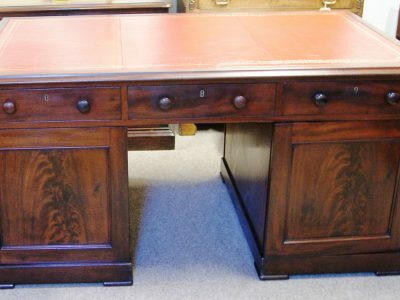 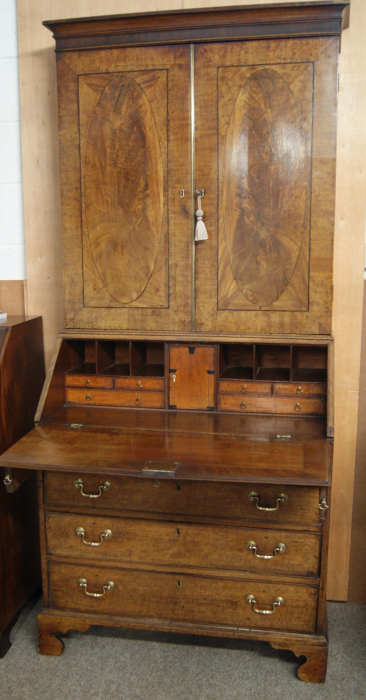 A very high quality and generally rare Irish, Geo 111 period knee-hole desk circa 1770/80. 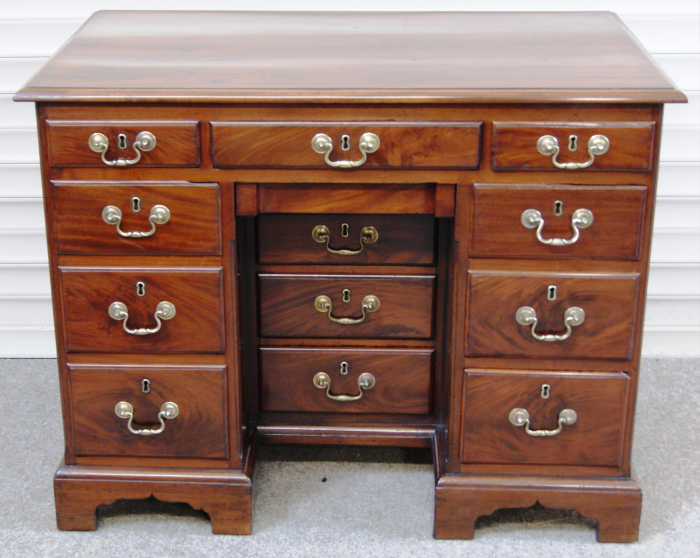 Probably made in Cork. 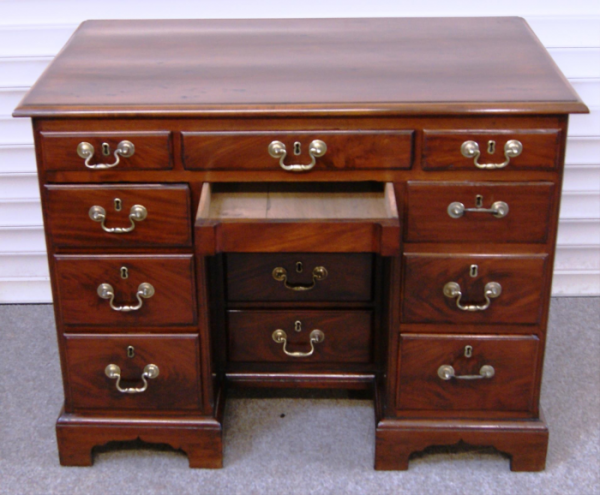 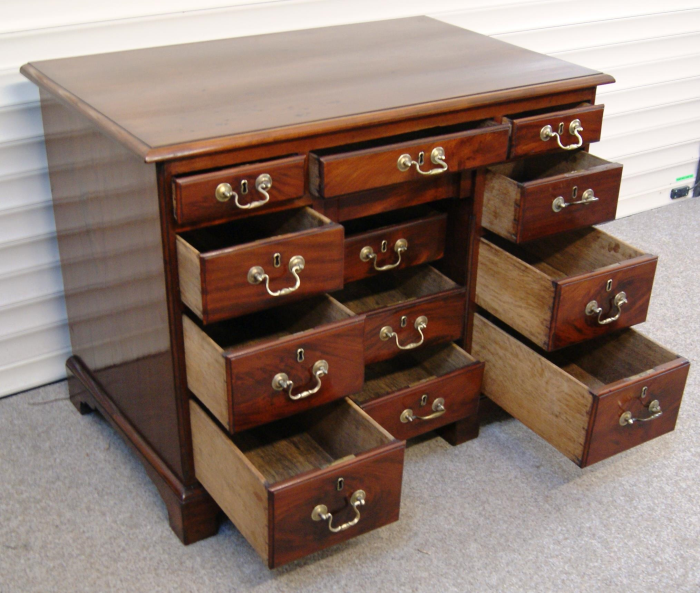 Highly figured Cuban mahogany with thirteen (13)solid oak lined drawers. 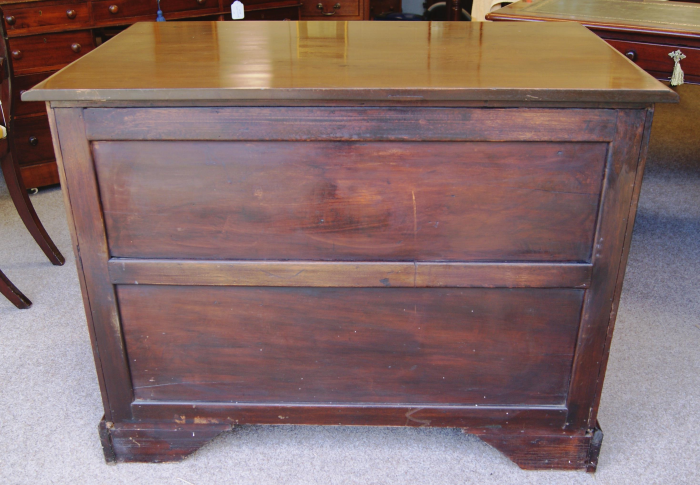 Bracket feet & panel back. 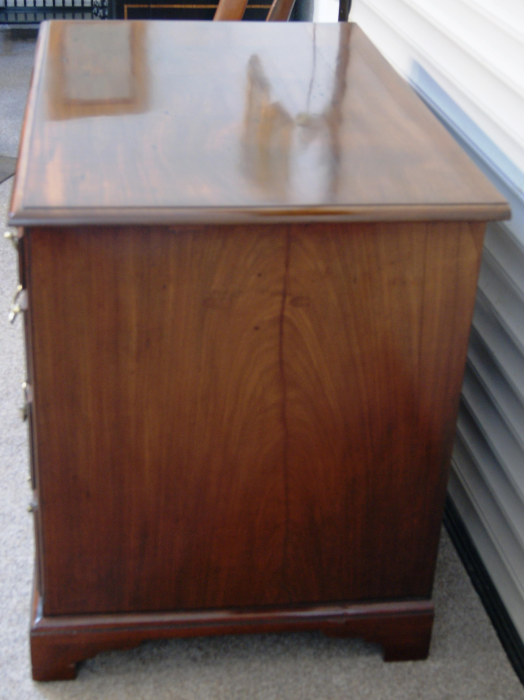 Fully restored and re french-polished. 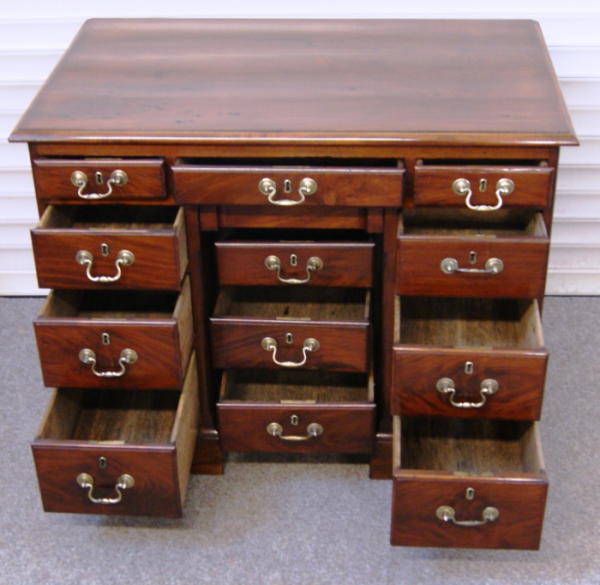 This desk, which has masses of storage space within its 13 drawers is very impressive indeed and is offered in top showroom condition.